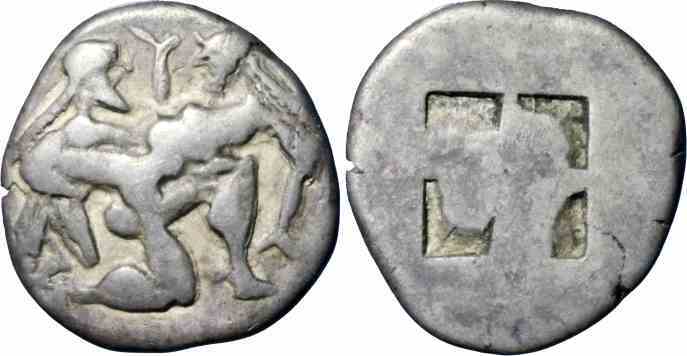 Silver stater, 20mm, 8.00gm, issued 500-470 BC. Obv: Naked satyr carrying off nymph. References: Sear 1746, SNG Cop. 1010.